As a keen walker, I wanted to enjoy a mini 2 night break away in the Lake District where I could really relax and unwind with nature. If like me, you like luxury but still want a secluded place to stay then I would definitely recommend the 4 star hotel Lakeside Hotel and Spa which is perched right on Lake Windemere. This hotel was recommended to me by ramblers and had great reviews online. I stayed with by partner but I would have felt equally at home staying on my own reading and writing in the terrace. It hosts spectacular views, has gourmet food, luxury spaced rooms, a wonderful spa and is quiet enough to unwind but has everything on your doorstep such as steamboats and a steam railway for nearby adventures. I always thought that the Lake District was so far away but it was only 4 hours by car from Hertfordshire. You just come off the M6 motorway and then you start to see mountains and scenery in your eye line and Lakeside Hotel and Spa is literally ten minutes drive from leaving the main road. I had envisaged steep, narrow roads and trouble getting here but it was an absolute breeze. In fact if you want to completely leave your car at home there is a new train service which goes from Euston London to Oxenholme (Lake District) station in three hours. Lakeside Hotel and Spa can arrange a short pick up for you to get to the hotel. 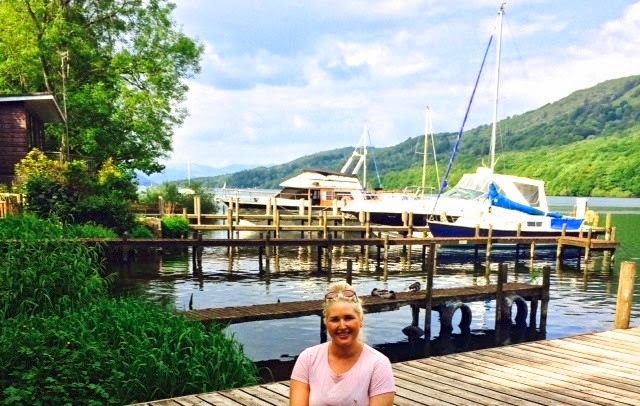 There are four main areas to Lake Windemere that you should go and see and are easily within reach of each other by steam boat. 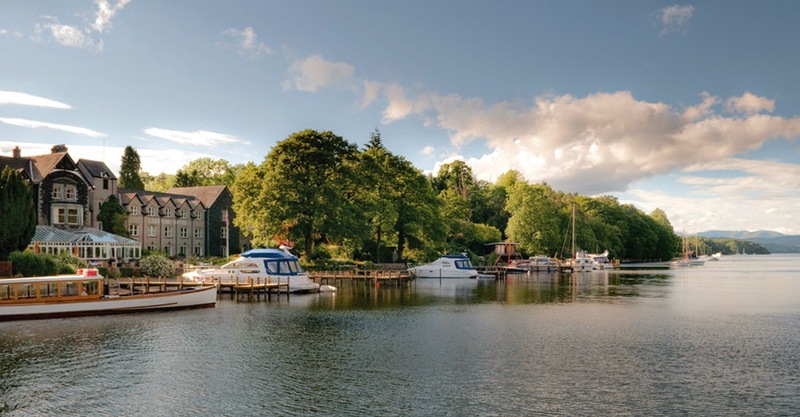 These are Ambleside, Windemere, Bowness and Newby Bridge which is away from all the tourists and where Lakeside Hotel and Spa is situated. A warm welcome at Lakeside Hotel and Spa- you get the VIP service as soon as you pull up. One of the first things that hit me was how fresh the air was. 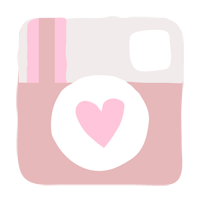 I felt like I could have fallen asleep straight away, but I was assured this was normal and by Day 2 I had so much energy and felt I had really caught up on my sleep. Once you pull up in your car to the Lakeside Hotel and Spa, you simply unload your luggage and give your car keys to the porters at check in who will park your car for you and bring your belongings to your bedroom. You are then given your keys in case you want to drive but everything is much better by foot or boat around here. 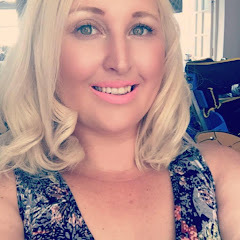 Upon arrival at the hotel which is contemporary chic mixed with old fashioned charm we had a cup of tea in the terrace and I couldn't get over the breath taking views of Lake Windemere right in front of us. It felt like I was on a Hollywood set and they were about to move the scenery any minute. Here is the view of the hotel looking at it from the lake. I love the history of the hotel which was originally a 17th Century Coaching Inn and was refurbished in 1979 to be a hotel, one of the only hotels to sit right on the lake. Here we spotted some people having a wonderful Afternoon Tea which they specialise in at the hotel. Past the terrace you come to a mini harbour where yachts pull up and you can look out onto the lake. Look how calm the water is- the water here is so shallow that kids can go out and paddle and there is a rowing boat you can take out if you wish. Here I am taking in the wonderful views and fresh air after our drive down by the bottom of the hotel. Before I went everyone said bring your wells- the Lake District is cold and wet, but because of the location of the hotel which is sheltered by the mountains I felt very warm and there was a lovely cool breeze. Not once during my stay did I feel cold in myself at all. We loved the mini beach feel in front of the hotel. If you love swans you will see the lake home to some lovely swan couples and little cute baby swans. Beside the terrace and facing the lake is a wonderful lawn where we saw an amazing outside wedding take place. What a gorgeous view the happy couple must have had- such a serene and romantic location for them. My partner and I opted for a Double Room, which we didn't mind if it didn't overlook the lake as we knew we would be out and about anyway. Well we were pleasantly surprised to have a ground floor patio room right next to the spa, which meant we could walk from our bedrooms to and from in our dressing gowns and had a lovely mini lawn outside our room where we sunbathed. Here is the bedroom with TV, tea making facilities and comfy chairs. Don't bother packing Shampoo, Conditioner, Shower Cream and Body Lotion (unless you are specific to what you use), as they have it all here for you in the bathroom. The bed was kingsize and was luxuriously bouncy with the softest pillows ever. In fact it was very hard getting up in the mornings. This was our lovely view to the lake and beside us there was the spa. Outside of our room we had the spa opposite us and a lovely seating area. Moving onto the hotel the main activity takes place in the bright and airy conservatory that is elegantly comfortable and a great meeting point before eating. Here we often enjoyed a wine or cocktail overlooking the lake and I loved reading here. At Lakeside Hotel there are two main restaurants and a cosy bar. We decided to dine at Lakeside Restaurant for our first night and then the John Ruskin's Brasserie and Bar the second night. 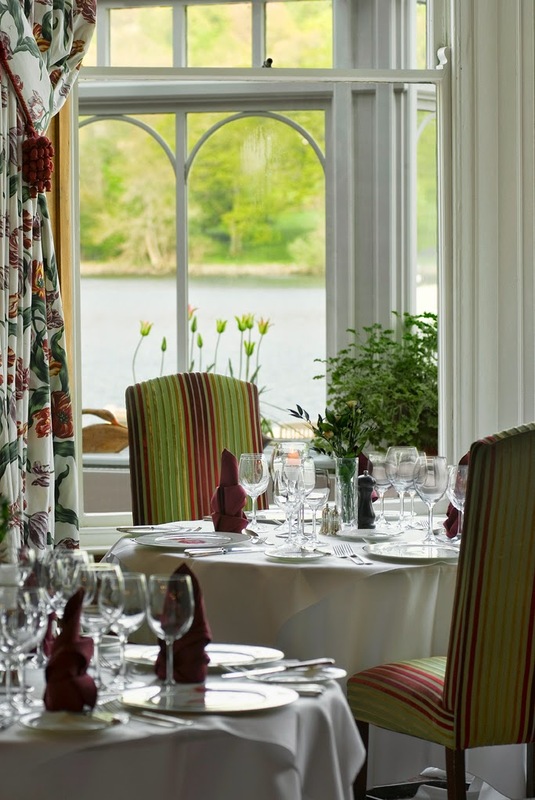 Lakeside Restaurant is five star dining led by Head Chef Richard Booth. The restaurant has stunning views of the lake and is silver service with premium food/service. The restaurant is open from 6.00-9.00pm. I picked the Hand Dived Scallops, Cumbrian Lamb and then the Cheese selection for Afters. My partner also had the Scallops, then the Aberdeen Steak (not on this menu) and shared my Cheese and Biscuits as the serving is so large. The cost of the meal is on average about £30 a head but it is a deluxe meal and we had a light lunch so we could really enjoy this. The hotel also does deals to incorporate dinner here as part of your stay which is well worth it. The Lakeside View at the restaurant. Here I am relaxing in the calm and elegant Lakeside restaurant. There is pianist that plays in the evenings that adds a romantic touch to the evening. He can even play modern songs after dinner on request. When you sit down for your meal you are offered a vast bread board. Here is Hannah from the restaurant showing us all the freshly baked breads we could choose from. Here I are the wonderful Scallops served with toppings from the herb garden that makes each mouthful explode in your mouth. Then we had a palate cleanser of fresh Smoked Salmon with mint and fruit sauces. This is the delicious Dry Aged Cumbrian Sirloin Steak with Onion Rings and Tomato. I had the Cumbrian Loin of Lamb served with Wild Garlic, Barley and a side of creamy mash. I loved the pea mash that came with it. The meat was cooked to perfection and very tender. Before dessert we had another palate cleanser dish which was like a profiterole filled with uplifting mango cream. For Dessert, I do not have a sweet tooth at all so I opted for the Cheese Plate which I was surprised to see had a massive list of cheeses which were served to me by another lady called Hannah on a large board. Here is the extensive menu- a cheese lover's paradise! We picked Oxford baby Blue, Lancashire Bomb, Robiola, Barkhum Blue and Tunworth. Honestly, the visit here alone was worth to for the deluxe cheeses. Here is the delicious cheeseboard with a knowledgeable member of staff telling you all about each one. Afterwards we went to the John Ruskin's Bar to have a Remy Martin Cognac. 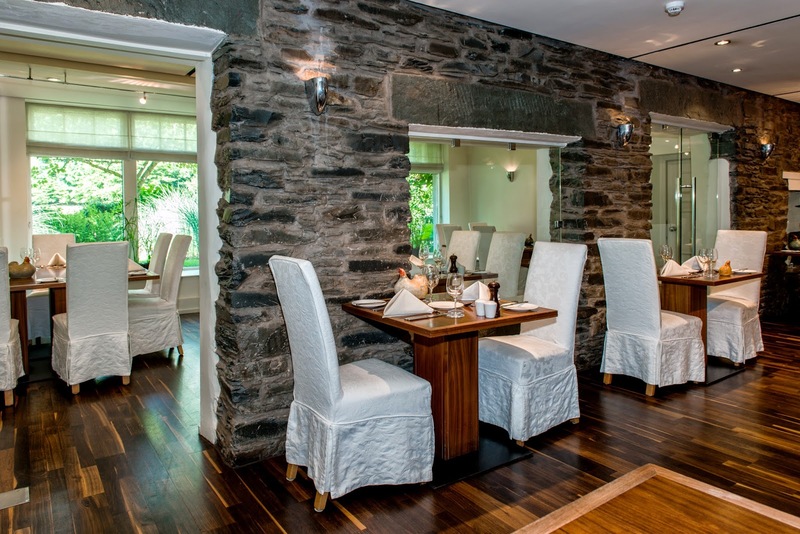 Here you will find every single kind of Malt Whisky or After Dinner Liquor that you fancy in very relaxed settings. Here is the bar area where they have a lit up section of the floor which shows the old remaining cobble stones that used to be there before the bar was built. Here there are lounge chairs outside of the bar you can chill on. One of the great things about this hotel is that it has a spa onsite which as a walker I find such a luxury, to be able to have a sauna, steam, swim and jacuzzi before dinner. 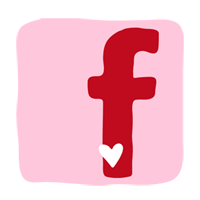 There is a full beauty treatment menu so you can book in with the therapists to have a therapy. I had mine at the end of our stay after our ambitious walks so I felt ready to go home relaxed. 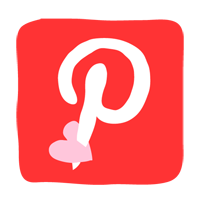 They use Aveda products which are based on nature and essential oils. It is very rare that I have seen a spa stock Aveda and was a lovely change from the typical Elemis or Dermalogica that you see everywhere. I love the smells and luxurious feeling that the Aveda products give me. Here is the Large pool area which has a Jacuzzi, Steam, Sauna and Aveda Beauty Salon on Site. There are changing rooms here for both men and women where there is a plentiful selection of fluffy white towels, plus spare robes and slippers, showers, toilets and lockers if you want to stay for a while. There is even a mini gym here which has all the mod cons for a great work out. Here is the cosy lounge area of the spa. There is refreshing Iced Tea at the spa. The 1 Hour 45 minute Aveda Elemental Nature Massage which is £99, but because all your body gets worked on it is worth the money. Included you get face, scalp and body massage with essential oils suited to how you are feeling with Aveda Aromas. I would recommend this massage to anyone who doesn't want to stop short of a wonderful treatment and who truly wants to be relaxed. 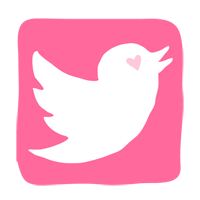 My therapist was very chatty and easy going which helped me unwind at the beginning of my massage and she let me nod off throughout the experience with no uncomfortable silences. The music they play in the room isn't space age stuff which often makes me giggle, this was relaxing nature music and it echoed the sounds of the lake. Here was my relaxing low lit treatment room. My Beauty Therapist started off asking me how I wanted to feel after my massage. I said that I would like to be uplifted and invigorated (after all, the fresh air had truly whacked me out and I had to get back home). She also asked me about my stress levels and in what sort of ways I would get angry. From the questionnaire I was then asked to smell three different essential oils. I was drawn to one that had earthy tones such as Bergamot and Sage to calm and ground me. First of all my feet were exfoliated, washed and massaged which was great because often in massage they get forgotten about. Then I lay on my front and had a wonderful, firm massage on my back and legs and then turned over to have the rest of my body done. My face was then oozed away of any tense expressions and I felt my sunburnt skin being soothed by the oils. Then my favourite part of the massage was when the therapist gave me a scalp massage and then started brushing my hair out and plaiting it. My hair gets so knotty but it was a special detangling brush. The therapist plaited my hair in a way which was really relaxing and reminded me of getting my hair played with as a child. After the massage I honestly couldn't move from being so relaxed. I have to admit that I had a little sleep and I couldn't have a conversation t all with my partner as I was on a cloud somewhere floating away. I would say this is one of the best treatments I have ever had in a spa where my whole body has been treated. The awakening essential oils made me feel wonderfully alert after about an hour and my feet felt especially revitalised. 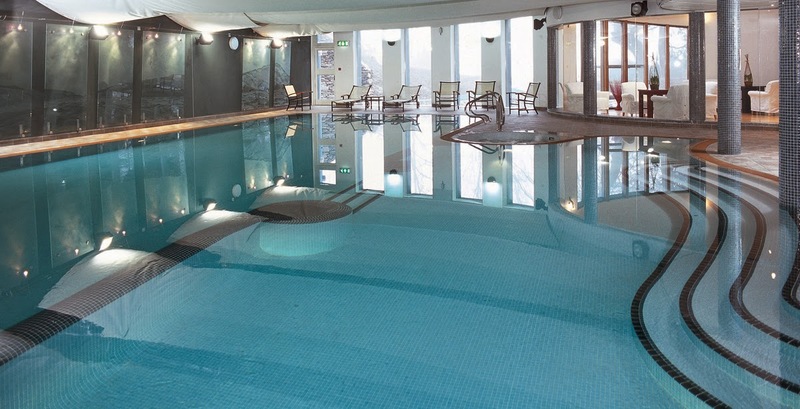 My partner had the Lakeside Traditional Back, Neck and Shoulder Massage (£79) for an hour, which was great for him because he likes a gym work out and often has a build up of Lactic Acid in his shoulder joints. I am told that his therapist was excellent as applying the hard pressure that he wanted and successfully popped the build up of muscle pressure that he had. He particularly enjoyed his neck muscles being massaged and he was noticeably hyper and uplifted after the treatment. Again, like me he found that the therapists were very friendly without being too chatty, which means you feel you can fully relax. You can buy all the Aveda products at this spa. I love the new Caribbean range they have. Breakfast is served from 7.30am until a late 11am which we loved when we couldn't get out of bed the second day. It is served in the Lakeside Restaurant so you get all the lovely views and light front he lake to slowly coax you up. Once you are seated in the restaurant you are treated to fresh orange juice and a big pot of filter coffee which makes all the difference for me when having breakfast. There is a large centre piece table full of everything you could dream of for breakfast- fresh fruit, prunes, Fromage Frais in four flavours, breakfast cakes, pastries, cereals and wonderful jams. This is fine dining in the best possible way to start up your day. This is how happy the breakfast makes my partner- all smiles! Not only do they have such an amazing assortment of buffet style breakfast dishes they also have a hot menu that you can order from. Breakfast fi for a king? Definitely! This was the tasty Cumberland Sausage with Black Pudding and a perfectly Poached Egg. The relish set the dish off. It was perfect comfort breakfast for me. The next day I tried the Fillet of Smoked Haddock with Curried Rice and a Poached Egg. It sounds strange but the spice goes so well with the smoked flavour of the fleshy fish and the egg topped off the flavours beautifully. My partner went for the classic Eggs Benedict of Muffin, Bacon, Poached Egg and Hollandaise sauce. I tried some and the bacon was super crisp with the sauce being a wonderful mustardy taste. Beautiful flowers that are grown on site are on display everywhere around the hotel which makes a homely and scantly touch. The corridors to your rooms are well lit and easy to find. Across the road front he hotel they have their own meeting room which is great for weddings and meetings. The room has lots of light and is private from other hotel guests. Near reception I found a cosy little private lounge that had board games in. Perfect for an afternoon snooze. This is the stunning hotel lit up at night from the other side of the lake. This is a more laid back restaurant and drinking area, bar open from 4-8pm and the restaurant 6-9pm, so we left this restaurant for our second night when we knew we would be tired from our walking. The area is filled with light from the glass windows and is impromptu, laid back dining. Here is a sample of the menu. We couldn't resist the Fabulous Fish & Chips which was Beer Battered Cod with Hand Cut Chips, Mushy Peas and Tartare sauce. It was so tasty and fresh, best fish and chips I've ever had! I loved the Tartare Sauce which you could tell was homemade. I loved the cheeky chip wrapper and the lemon in muslim to dribble over the fleshy Cod. Here is a side order of steamed vegetables that I ordered with my fish. There is a cool Brasserie area outside the restaurant where you can eat olives or your main meal for even more casual dining. 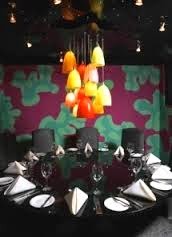 We noticed this cool private dining room at the Brasserie- great for a party. We also saw this table on it's own which would be great for a big family or group booking for six. Great lighting! This restaurant was great for people who didn't want the full silver service and just wanted to chill out here and then go to the bar. Instead of desserts we had some lovely coffees and chocolates in the bar lounge area. You will see the steamer boat and railway train is just right to the hotel. The boat sails to Ambleside in half an hour and Bowness in 15 minutes. They run every 20 minutes. I would recommend getting a Freedom ticket so you can hop on and off as much as you want all day for 24 hours on all the boats. These tickets are about £18.00 but well worth it. 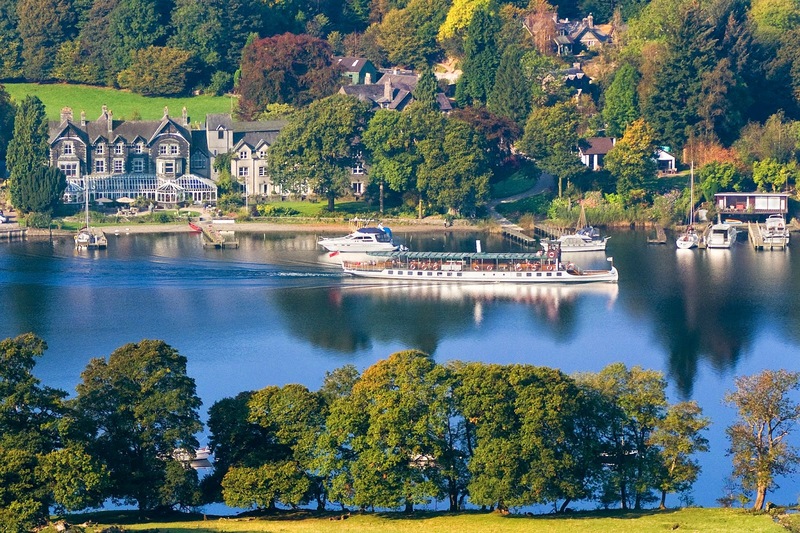 The Windemere Lake Cruise company also do great boat parties you can go on. You will se stunning views of the lake and see millionaire row houses that are breathtaking. There is also an Award Winning Aquarium. Another highlight is having the Lakeside and Haverthwaite Steam Railway on your doorstep. It's only a quick 20 minute journey on the train to experience a Steam Train but it's good fun. 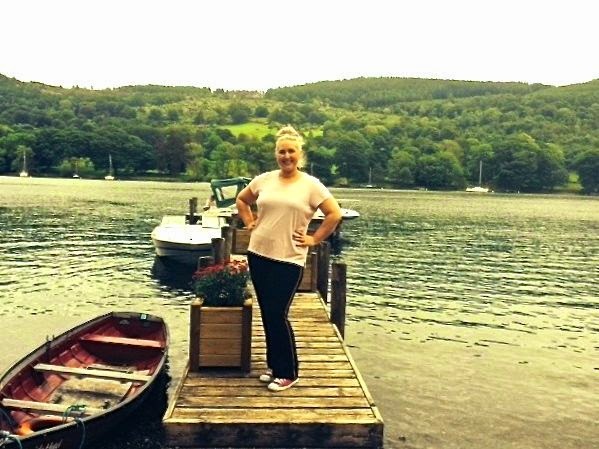 We found a cute little cafe where you can watch the Windemere Lake Cruises and its just on top of the railway. Here we had burger and chips for £5 and enjoyed watching the lazy life on the lakes. 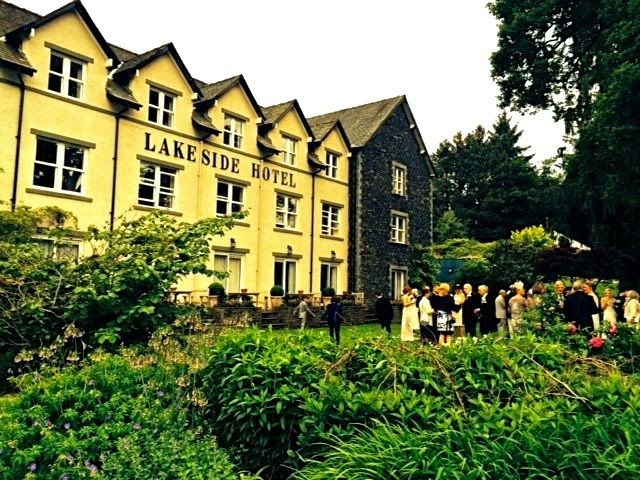 Lakeside Hotel and Spa is a hidden secret in the Lake District. If you want to escape the tourism and hustle and bustle of Bowness, then I think this is ideal. This is a charming and glamorous hotel to stay at and you can pamper yourself in the Aveda Spa. I loved the way we didn't have to walk anywhere to go for dinner as we had all the selection on our doorstep. even though the hotel was 4 star, there was no snobbery and the staff were delightfully chatty and helpful. 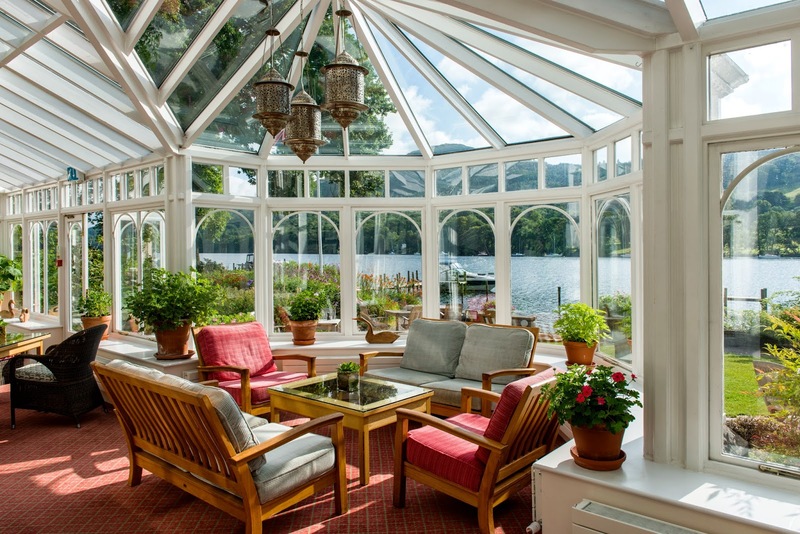 The merging of old traditional aspects of the hotel mixed up with the funky elements in the spa worked well, such as the roof garden and John Ruskin's laid back dining brasserie mixed with the pianist in the Conservatory overlooking the lake. The old fashioned romance of the lake will make you calm as soon as you set eyes on it. Once you look at the beautiful swans, rolling hills and green backdrop you will be mesmerised. The scenery will stay in my memory forever as a backdrop to a wonderful walking break with the added bliss of comforting stay. I would recommend this hotel and spa to any of my friends considering a couples break, chilled hen party or even a quiet wedding venue. Lakeside Hotel and Spa is inspirational and magic. 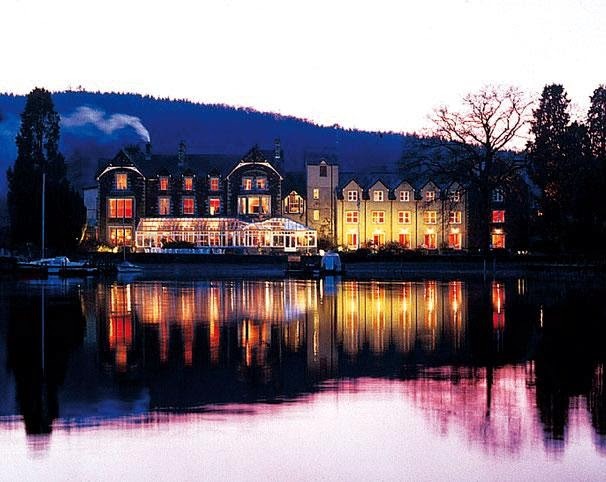 Click here for the Lakeside Hotel & Spa which goes through to their offers page.